I had a lot of great friends come out and help me celebrate my 24th birthday. 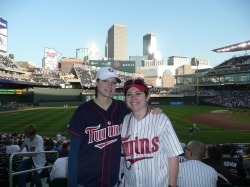 My friend Cassie and me at the second night game in Target Field history. 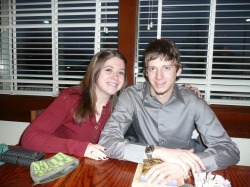 Me and my brother Kyle at the Olive Garden for our traditional Christmas Eve family meal. 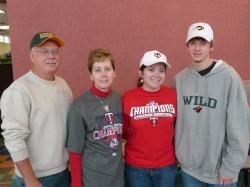 My parents, me and Kyle during the NDSU Family Weekend last fall. 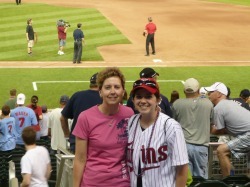 Mom and me during our family's first visit to Target Field. My good friend Anna and me relaxing in the Morrison apartment. 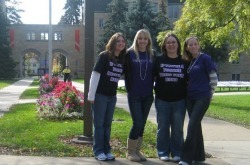 Me, Becky L., Becky M. and Kelly - roommates during my senior semester at St. Thomas. 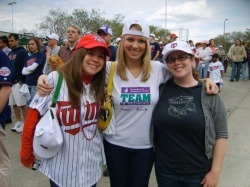 Me, Pam and Laura before a Twins game at the Metrodome. 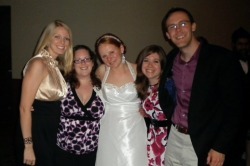 The Aquinners: Pam, Laura, Stephanie, me and Michael at Stephanie's wedding.